Online Schedule now available. Click on "Appointment Scheduling". We are pleased to welcome you to our office. If you're looking for quality care with a personal touch, we want you to give us a call. We look forward to the opportunity of serving your family's vision care needs. We are conveniently located nearby and would be delighted to have you as a patient. We specialize in PERSONALIZED FAMILY EYE CARE. When you're seeking for the best in personalized family eye care, you do not have to go further than Abundo Eye Care. 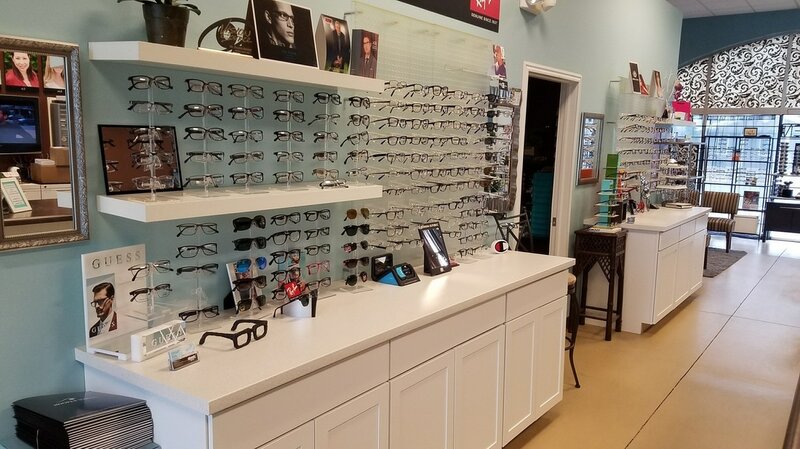 We take pride in our commitment to value for money, top quality optometric care and patient satisfaction. Our services are tailored to suit our patient's tastes as well as their budget. We've invested in the latest technology to provide state-of-the-art eye care at all times. We have a superb selection of the latest frames. Helping people look great and see great is our top priority. If it's contact lenses you need, we have the most popular brands as well as many other specialty lenses that are available so even customers with more unusual prescriptions can be supplied with the correct contact lenses with ease and accuracy. Rated one of 2015’s top Midvale Optometry practices. Congratulations Abundo Eye Care!